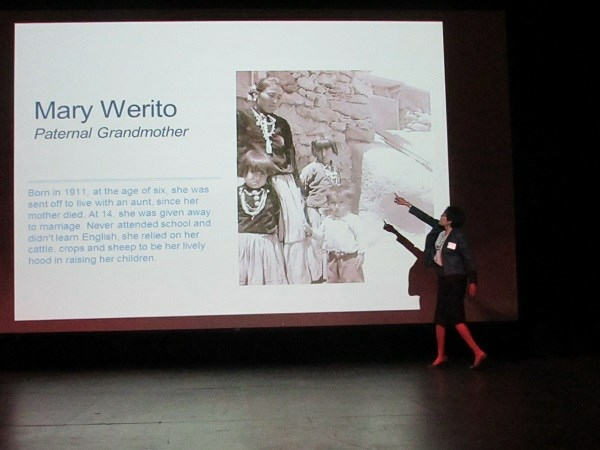 This past Wednesday and Thursday have been spent educating Fremont County residents, Wyoming residents and even out of state participants about the history of the Native American culture, as well as the need for cultivating and preserving the Native American Heritage for future generations to come. The 7th Annual Native American Education Conference was held at CWC which opened with a cedar and blessing ceremony offered by Crawford White. Many came upon the stage to be blessed with the cleansing of the Spirit and for those who were not interested, they still showed the appreciation and respect for a different culture. A welcome was offered by former Shoshone Business Councilman Ivan Posey, who is now the Diversity Coordinator for the CWC education department. About 350 participants attended each day of the conference, a 100 above the previous year’s conference. Rob Black of the Wyoming Education Department said, "this conference was the work of a combination of a lot of individuals from the reservation and the community including Wyoming Tribal Children’s Triad and the planning committee, as well as local school districts. The goals were to help all teachers to understand the unique needs of Native American students. I wanted to expand with the blessing of the planning team to include more history of the Wind River Reservation and the two tribes here. But, also to put a youth empowerment component in to help young people, not just Native American, but any young people deal with the many challenges they face. I thought the conference went well, the attendance was up, my sense was the crowd was very engaged with the speakers and the messages given. Again, I give credit and thanks to the local people who made this event all that it was meant to be. We covered topics on history, historical trauma, and even future assistance of help to Native Children to aide in dealing with issues underlying from identity." 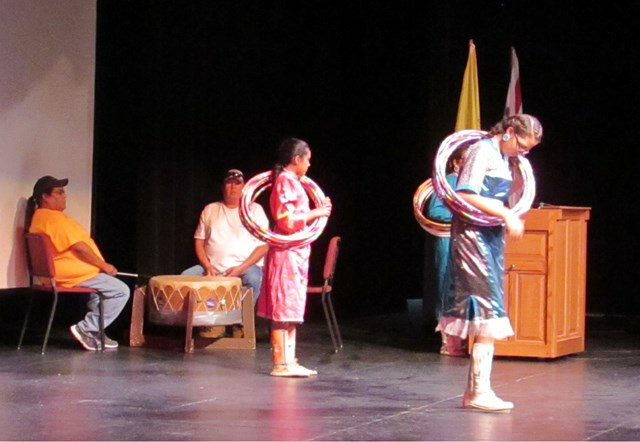 Local performances were showcased, such as the Hoop Dancers under guidance and direction of local teacher Ann Abeyta. 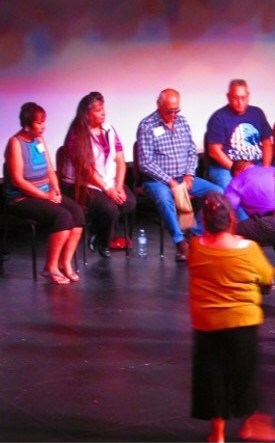 The many informative presenters present, included Ronalda Warito, Navajo from Albuquerque, N.M. In 2005 she was honored as Parent of the year. Ronalda works to bring harmony to the imbalanced educational system where identity of Native children is forgotten. Discussing the trauma in her family up until her life today, “Spirituality is not religion,” she said, “It is who you are.” Family engagement was a big part of Ronalda’s presentation. “Family engagement is stepping out of the box, parent engagement is different for everyone,” she said. Many showed emotion, some showed tears, and others were empowered by her strong words. Victor Woods of Chicago was another great presenter, he came with experience of dealing with the legal system, a fight, and a changed life. With many presenters at this year’s conference, the biggest presentation was saved for last. Christian Parrish of the Crow Nation, aka Supaman, flew in to speak to the conference attendees. 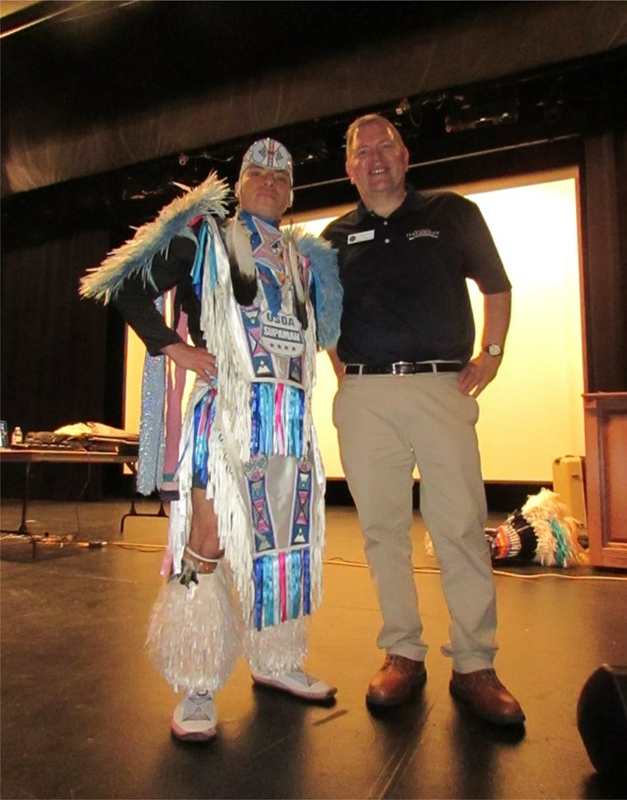 While keeping the audience laughing, the message of hope alive, and creating the inspiration in the lives of many, Supaman helped in making the 2016 Native American Education Conference a success to remember for a lifetime.